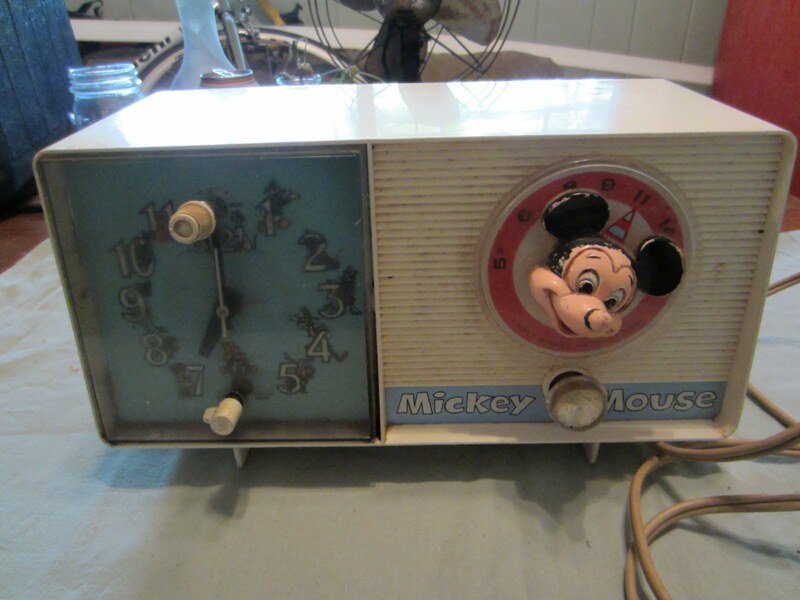 So lately Chris and I have been going to yard sales and went to one a few weeks ago that had some really cool clocks. 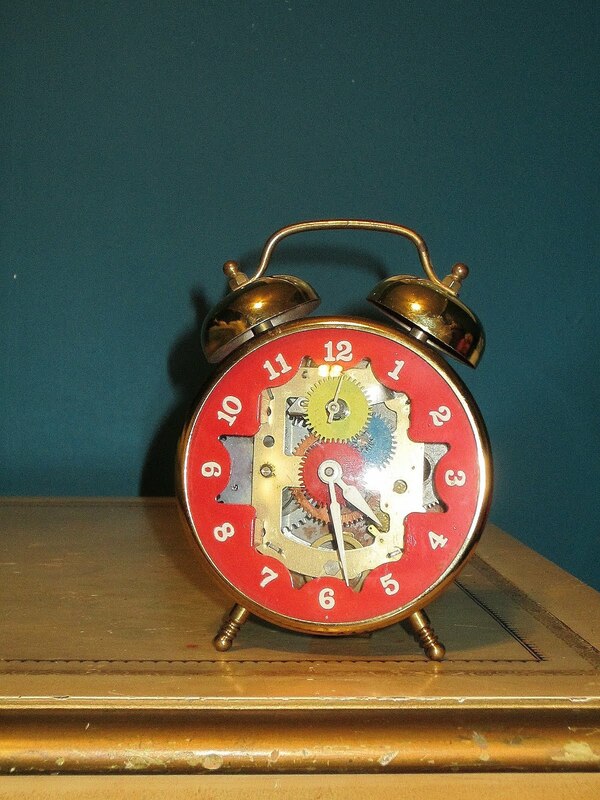 Chris has gotten into clocks lately and wants to start fixing them. Which means there are a LOT of clocks around. A few of these are mine (like the 3 below). The red Robert Shaw with the open escapement is my favorite. 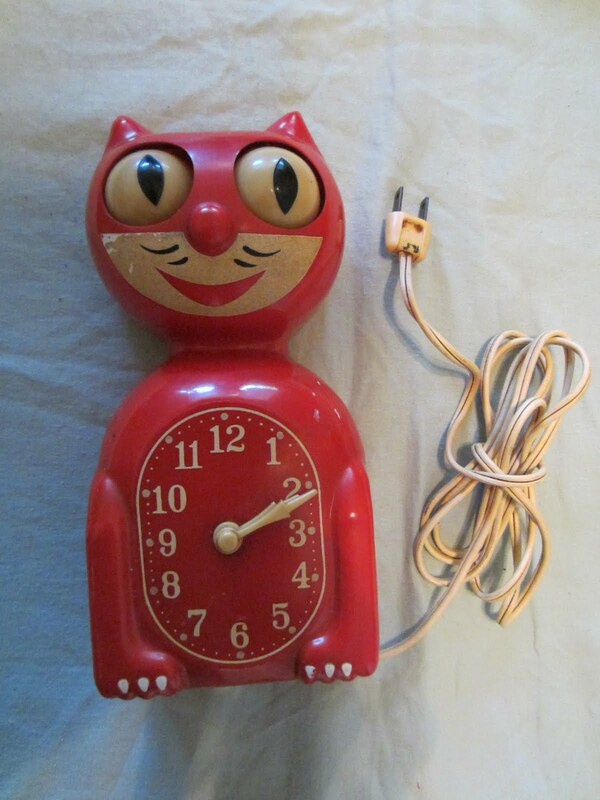 And I really don’t know much about it, except the lever that dings the bells when the alarm goes off is missing. 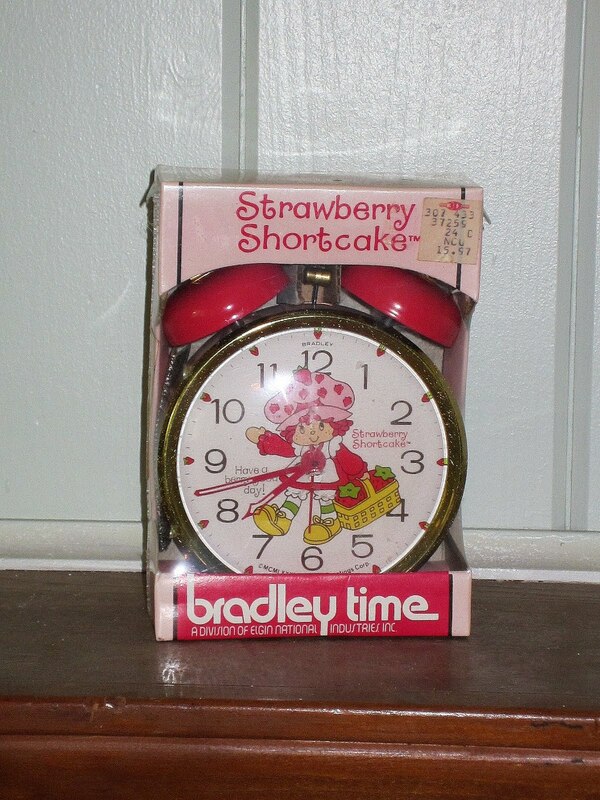 I put the Strawberry Shortcake alarm clock on eBay since it’s still in the packaging. 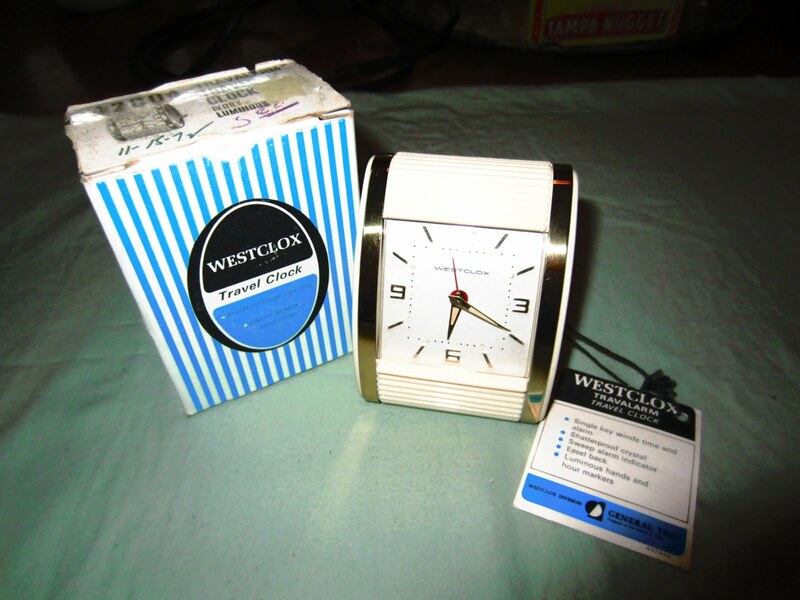 🙂 I really like the Westclox alarm too. I have them set up around my room and bookshelf and even though I don’t have them running, love the way they add a little more of a finished look! These are Chris’. 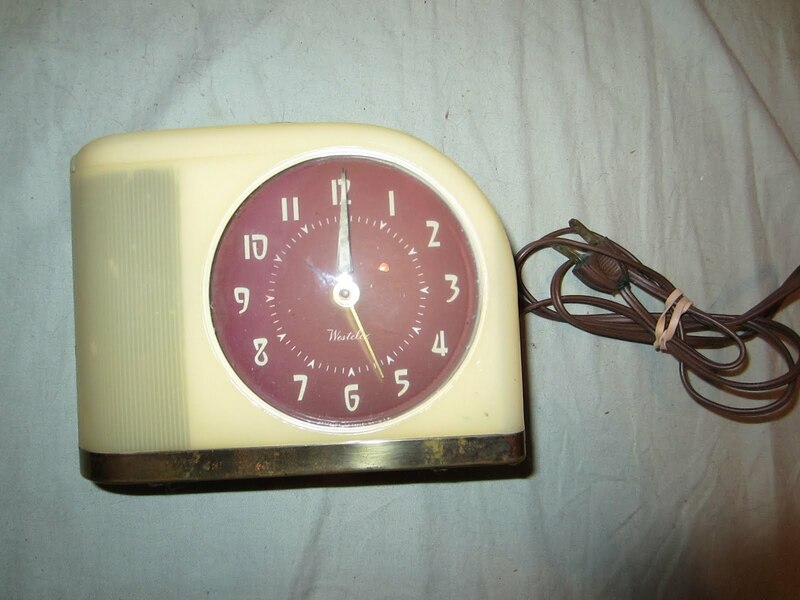 I love the cream and maroon moon clock. 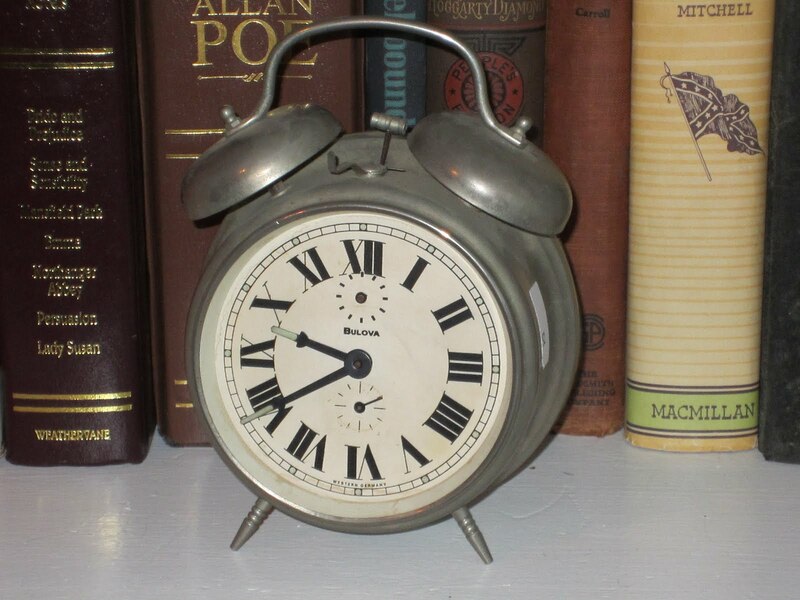 It just makes me think of Apollo 13… like it Kevin Bacon’s alarm clock! My absolute favorite is the Kit Kat Klock. Unfortunately, one of the eyes was knocked in and the tail was missing when he bought it… but how adorable is it? !